When a child struggles to adjust to change, it can be a sign of a problem. While some children are quite resilient to stressful events and other major life changes, others struggle to rebound. A child who exhibits changes in mood or behavior after a stressful life event may have an adjustment disorder. An adjustment disorder is a mental health condition that may require professional help. With appropriate intervention, adjustment disorders usually respond well to treatment. People of all ages can have adjustment disorders, but they’re especially common in children and adolescents. Divorce: Children dealing with divorce may undergo many changes, including changes in living situation or the absence of one parent. Moving: Whether it’s a house in a different neighborhood or it’s an apartment in a brand new city, a child may struggle to adjust to the changes. 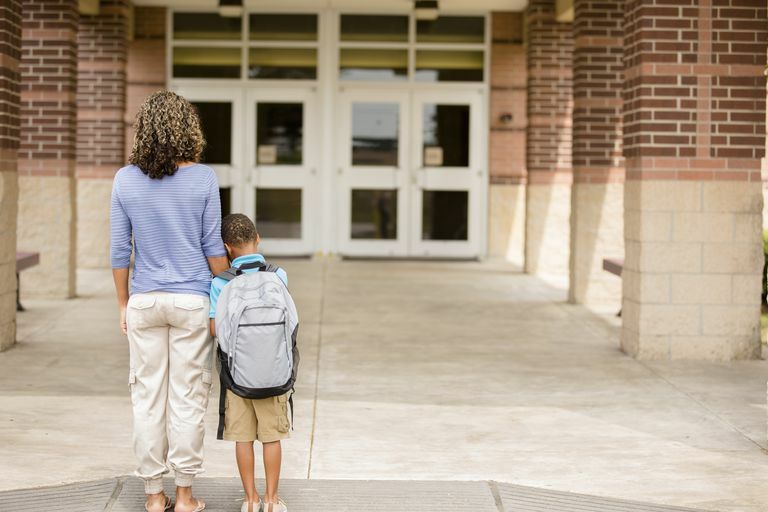 Changing schools: Being promoted to junior high or entering a new school across town could mean a shift in friends and a big change to a child’s routine. Change in health: Whether it’s the child who was diagnosed with an illness or it’s a parent who develops a health condition, the associated stress may be difficult to manage. The stressful situation may be a one-time event, like the death of a pet. But an adjustment disorder may also stem from an ongoing stressful situation, such as being bullied repeatedly at school. Not all children who experience stressful events develop adjustment disorders, however. And what one child considers stressful might not be a big deal to another. So while one child might develop an adjustment disorder after the parents’ separation, another child in the same family may not experience the same response. There are several factors that influence whether a child develops an adjustment disorder after a stressful event, such as the child’s temperament and past experiences. A strong support system and healthy coping skills may serve as protective factors that reduce the chances a child will develop an adjustment disorder. Adjustment disorder with depressed mood: A child may exhibit crying spells, loss of interest in usual activities, feelings of hopelessness, and increased sadness. Adjustment disorder with anxiety: A child may appear more anxious and worried than usual. The anxiety may manifest itself as separation anxiety—when a child becomes upset about being separated from a caregiver. Adjustment disorder with mixed anxiety and depressed mood: When a child experiences a depressed mood and anxiety, he may be diagnosed with this subtype. Adjustment disorder with disturbance of conduct: A child may be diagnosed with this subtype when her behavior changes, but her mood seems to stay the same. She may exhibit increased defiance or she may begin to steal or get into fights. Mixed disturbance of emotions and conduct: A child who experiences a disturbance in mood or anxiety and exhibits a change in behavior may be diagnosed with a mixed disturbance of emotions and conduct. Adjustment disorder unspecified: A child who experiences difficulty dealing with a stressful event, but doesn’t quite meet the criteria for any of the other subtypes may be diagnosed with this subtype. It’s important to note that just because your child has been diagnosed with an adjustment disorder with depressed mood, it doesn’t mean he’s been diagnosed with ‘clinical depression.’ By their definition, adjustment disorders are stress-related conditions that do not meet the full criteria for another mental disorder. That can be confusing for parents, but it’s an important distinction. Just because a child is having a little trouble adjusting to a new circumstance or a stressful situation doesn’t necessarily mean he has a diagnosable mental health condition. In order to qualify for an adjustment disorder, a child’s impairment must be beyond what would be considered normal for the circumstances. An adjustment disorder will impair a child’s social or academic functioning. A decline in grades, trouble maintaining friendships, or an unwillingness to go to school are just a few examples. Adolescents may exhibit anti-social behavior, such as vandalism or stealing. Children with adjustment disorders frequently report physical symptoms, such as stomachaches and headaches. Sleep problems and fatigue are common as well. Symptoms must appear within three months of a specific stressful event. But, symptoms cannot last for more than six months. If a child experiences ongoing symptoms after six months, he would qualify for a different disorder, such as generalized anxiety disorder or major depression. It is possible for children to experience a comorbid condition. For example, a child who has previously been diagnosed with ADHD or oppositional defiant disorder may also experience an adjustment disorder after a stressful event. Even though an adjustment disorder is brief, it can still be quite serious. Adolescents who are experiencing high degrees of distress are at a higher risk for suicide. Approximately 25 percent of teens with an adjustment disorder experience thoughts of suicide or make a suicide attempt. And studies show girls with adjustment disorders show higher suicidal tendencies than boys with the same diagnosis. If your child expresses thoughts about wanting to die or she makes any attempts to harm herself, take the situation seriously. Never assume your child is just being dramatic or trying to get attention. Contact the pediatrician or a mental health professional if your child expresses thoughts of suicide. If the situation is an emergency, go to your local emergency room. A physician or mental health professional can diagnose an adjustment disorder. As part of a comprehensive assessment, the parents and the child are usually interviewed. If the child meets the criteria and other conditions are able to be ruled, a diagnosis of adjustment disorder may be given. The physician or mental health professional will ask questions about a child’s emotions, behavior, development, and the identified stressful event. In some cases, a teacher, caregiver, or other service provider may be asked to provide further information. The type of treatment a child with an adjustment disorder needs depends on several factors, such as the child’s age, the extent of the symptoms, and the type of stressful event that took place. Individual therapy: Individual therapy can teach skills like problem-solving, impulse control, anger management, stress management, and communication. Family therapy: Family therapy may be used to address changes to the family dynamics and to help family members improve communication. Parent training: Parent training assists parents in learning new skills to address behavior problems. Parents may learn new discipline strategies or more effective ways to set limits and give consequences. Medication: Although medication is more likely to be used for long-term problems, if the symptoms are severe, a prescription may be given to address specific symptoms. Group therapy: Group therapy may be used to sharpen social skills or communication skills. Children or adolescents may benefit from peer support as well. Early intervention can be instrumental in treating adjustment disorder and may prevent the disorder from turning into a more serious condition, like major depression. Treatment is usually quite effective for adjustment disorders. If a child does not respond well to one type of treatment, a mental health professional may try another approach. Symptoms of an adjustment disorder may begin slowly. Your child may complain about a stomach ache one week and cry about having to go to school the next. Don’t brush off the changes in mood or behavior as a phase. Without appropriate intervention, symptoms of an adjustment disorder are likely to get worse. If you have concerns about your child’s mood or behavior, ask other caregivers what they notice. A teacher, daycare provider, or coach will be able to offer insight into whether your child is having problems in other areas. If you notice changes in your child’s mood or behavior, and the changes last more than two weeks, schedule an appointment with your pediatrician. Share your concerns and discuss your options. Even if you can’t identify a stressful event that your child has endured, he may still have an adjustment disorder based on an event that occurred. Perhaps something happened at school or in another person’s home when he was visiting. Or, an event that you didn’t find stressful may have had a bigger impact on him. And even if it isn’t an adjustment disorder, a change in your child’s mood or behavior could be a sign of another condition. A physician will rule out any potential physical health problems that may be behind the changes and if warranted, a referral may be made to a mental health professional. Doherty AM, Jabbar F, Kelly BD, Casey P. Distinguishing between adjustment disorder and depressive episode in clinical practice: The role of personality disorder. Journal of Affective Disorders. 2014;168:78-85. Ferrer L, Kirchner T. Suicidal tendency in a sample of adolescent outpatients with Adjustment Disorder: Gender differences. Comprehensive Psychiatry. 2014;55(6):1342-1349. Pelkonen M, Marttunen M, Henriksson M, Lonnqvist J. Adolescent adjustment disorder: Precipitant stressors and distress symptoms of 89 outpatients. European Psychiatry. 2007;22(5):288-295. Strain JJ, Diefenbacher A. The adjustment disorders: the conundrums of the diagnoses. Comprehensive Psychiatry. 2008; 49(2):121-130. What Developmental Milestones Do Children Experience?